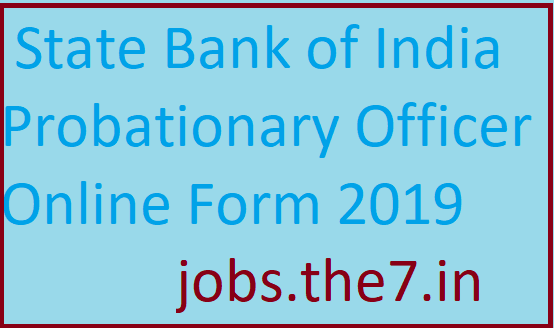 State Bank of India Probationary Officer Online Form 2019 - Government Jobs, Sarkari Naukri, Sarkari Result, Admissions, Rojgar, Exams Alerts. The candidate can pay the exam fee through online mode by using credit card or debit card or net banking or through mobile wallets. Candidates having bachelor Degree in any discipline from any recognized University / Institute will be considered for this recruitment. Interested candidates can apply for the SBI PO through following steps.